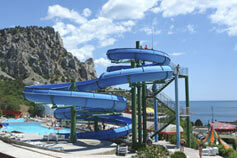 InSimeiz there is the largest aquapark of Crimea. You are waited of 15 cool attractions and 5 pools. 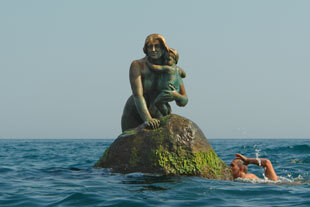 In all pools is sea-water. The aquapark has a hotel. 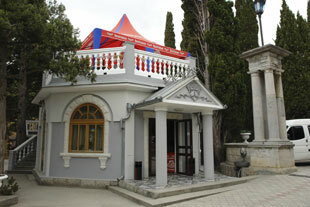 In Simeiz works excursion office offeringexcursions of Simeiz, Big Yalta and Crimea. On our site you can book boat trips on the yacht. Scooters, pedal boats, banana, beach beds and umbrellas are provided on the beach. Entrance to all beaches of Simeiz is free. In Simeiz works Diving centre where proficient instructors help you to learn the basics of scuba diving. 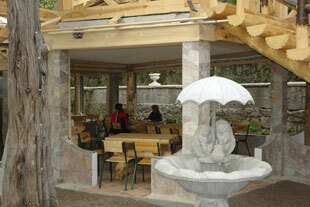 In Simeiz many bars, restaurants and canteens open their doors for you. Discos, dance floors, bars, cinema offer various entertainments in the evening. Contacting us, you can order a taxi and a minibus, which will meet you at the railway station or airport in Simferopol or Sevastopol and delivered to Simeiz or Yalta, and from Yalta anywhere in Crimea you want. 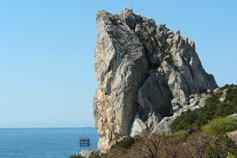 SIMEIZ is the best resort of the South Coast of Crimea. 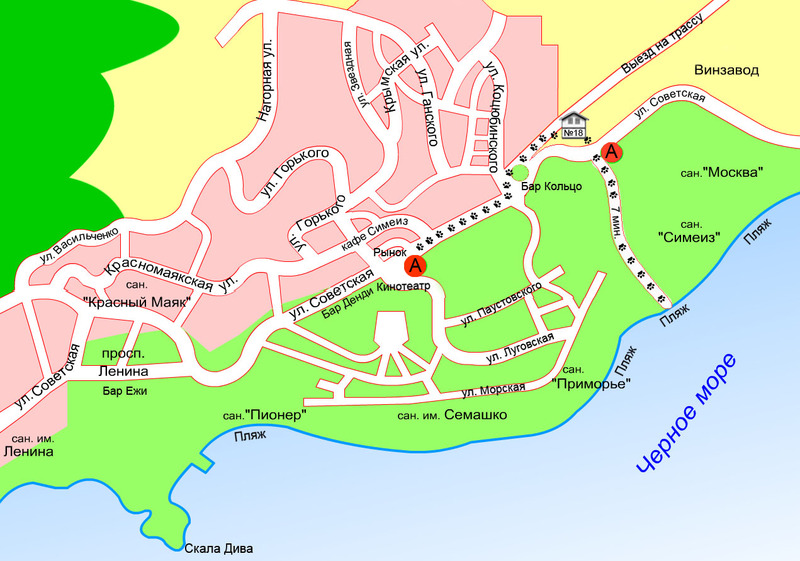 Simeiz is the resort on the southern coast of Crimea, 18 km from Yalta. Simeiz is situated in a picturesque place at the foot of the mountain Koshka (Cat). 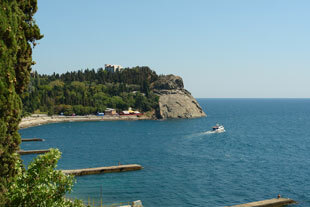 Simeiz has unique geographical location and medicinal climate. Simeiz, Katsiveli, Alupka, Mishor, Yalta are included in a subtropical climate zone and are the most warm and safe havens of SCC. The number of sunshine hours in Simeiz are average 2296 per year. There are less precipitation and fog in winter in Simeiz, than in neighbouring Alupka and Mishor. Annual rainfall in Simeiz is 660 mm. 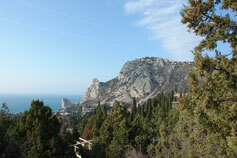 In Simeiz are 136 days of calm weather, but in Yalta are only 70. Particularly well is fall in Simeiz. Simeiz is the perfect place to spend an unforgettable vacation on the Black Sea coast at any time of year. Arriving in Simeiz in the offseason, you can see the sights of the Crimea; improve health and save your money considerably. If you are planning a vacation in Simeiz, book a room already today. Season of reservations Simeiz’s hotels is open! There are places in Simeiz's hotels! SIMEIZ: SPRING AND SUMMER IN SIMEIZ! Season of reservations Simeiz’s hotels is open ! There are places in Simeiz's hotels ! For booking the prepayment is needed. We are working officially on prices of hotels. 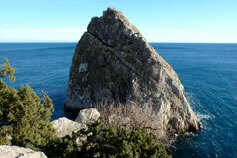 In our Photo Gallery you can find photos of natural beauty of Simez and Big Yalta, that we can not express in words. 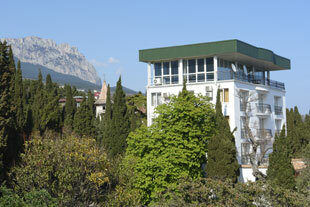 In Simeiz and Yalta are situarted hotels, motels, resorts as well as comfortable accommodation in the private sector. Contacting us, you can choose lodging for recreation for everyone. We offer you the pages with descriptions and photographs of hotels and guest houses, sanatoriums, ellings и private sector of Simeiz and Big Yalta. 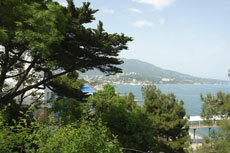 Simeiz was named the best resort in the Crimea and the second in Europe after Nice, France in 1913. This contributed to the interest of the royal family to the village Simeiz and directly, personal visit of Nicholas II in Simeiz (1912) for a meeting with local landowners Maltsov. After the Revolution of 1917 the land in Simeiz and its vicinity were still attracted to the Soviet elite. Around of Simeiz housed numerous governmental dachas. 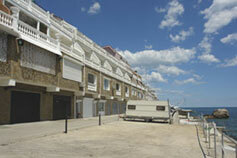 Real estate in Simeiz and Yalta – One of the most profitable investments in the resort business. 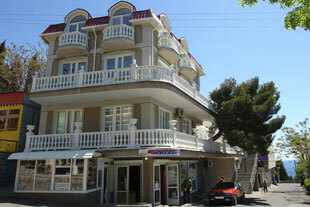 Real Estate in Simeiz most attractive by the fact that resort town is compact and is located next to the sea. "Park Hotel" | Hotel "Chayka" | Hotel ''Villa'Blue Bay' | Hotel ''Atriy'' | Hotel "Edem" | Private guest house "Moscow" | Villa "Courchevel" | Hotel "Аssol" | Hotel "Ligo Morskaya" | "Pink Villa"